BATS Europe will bring a new pricing model to the European non-displayed market when its dark pool is launched on Friday. The pan-European multilateral trading facility (MTF), owned by US-based exchange group BATS Global Markets, believes that the maker-taker pricing model adopted by its dark pool will give it a competitive advantage over existing non-displayed venues. “We regard the charges being made for finding matches in certain other European dark pools as excessive. 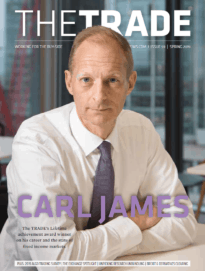 When lit book matches can be executed for a single-basis-point spread, it’s hard to justify a 0.6 basis-point spread for a dark book match,” BATS Europe CEO Mark Hemsley told theTRADEnews.com. BATS clients that add liquidity to the dark pool will receive a rebate of 0.1 basis points, while those that remove liquidity will be charged 0.25 bps. As with many rivals, BATS will execute orders at the mid-point of the best bid or offer available on the primary market of a stock’s listing. The dark pool, which will operate separately from BATS Europe’s integrated order book, also offers users a minimum execution size. BATS’ dark pool joins a flood of non-displayed venues unleashed by Europe’s lit trading venues in recent months, most of which levy a fee for both passive and aggressive orders. Chi-X Europe’s Chi-Delta dark pool, for example, charges 0.3 bps per order (although this charge is waived until 31 August), Nasdaq OMX Europe’s NEURO Dark charges 0.1 bps (increasing to 0.2 bps from September) and Turquoise charges 0.5 bps for all dark orders. Both Deutsche Boerse and NYSE Euronext, via its SmartPool venue, also offer mid-point dark order crossing. 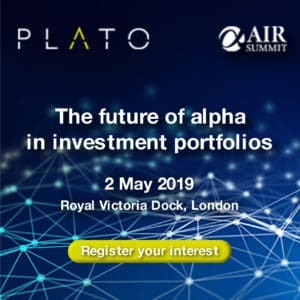 These have swelled an already crowded European marketplace occupied by dark pools operated by global brokers and technology providers, such as Goldman Sachs’ SIGMA and NYFIX’s Euro Millennium, as well, as buy-side-focused crossing networks including Liquidnet, ITG POSIT and Pipeline. BATS’ Hemsley suggested that increased sophistication in brokers’ smart order routing technologies and the launch of liquidity aggregation services – by fellow MTF Turquoise and the LSE’s Baikal among others – will stiffen the competitive climate. “With the increased ability of market participants to reallocate liquidity across multiple pools, the venues that can match orders successfully will have more liquidity posted to them. Not all the dark pools created in Europe recently will be successful,” he says. Justin Schack, vice president, market structure analysis at US broker Rosenblatt Securities, asserted that pricing policy can be a key differentiator in the battle for market share in both the lit and dark trading arenas. “Given its track record, ownership and client base, I wouldn’t be surprised if BATS is adopting maker-taker pricing for its European dark pool so that it can appeal to the same high-frequency and algorithmic flows it has attracted in the US and European displayed markets,” said Schack at Rosenblatt. According to Hemsley, BATS’ decision to use maker-taker pricing for its dark pool will help the platform to offer clients a wider range of trading opportunities and incentives. Hemsley expects the BATS dark pool to attract interest from large investment banks executing proprietary and client flow and agency brokers as well as high-frequency firms. “Over time, we’d like the dark pool to represent around 20% of BATS Europe’s overall turnover. That’s going to take time; we’ll be happy with 10% by the end of next year,” he said.